When Hydra attacks, it’s up to the smallest heroes to come to the rescue. That means it’s a job for Ant-Man, The Wasp, and YOU! Shrunk down to nano-scale proportions, we team up with our favorite pint-sized pair to destroy swarmbots and save the day! 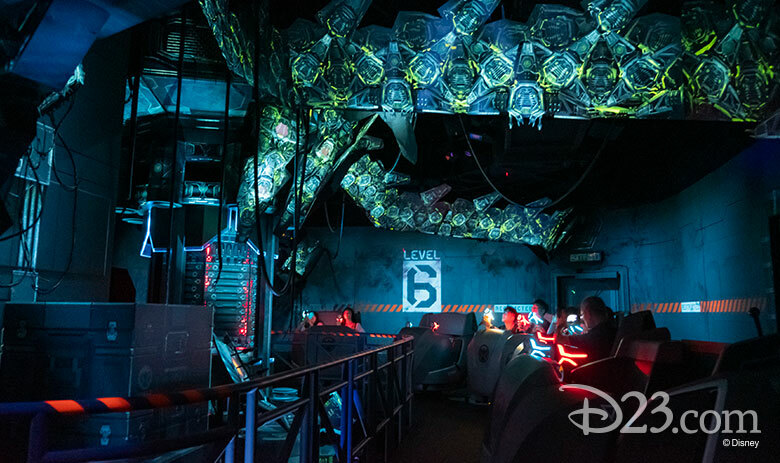 Before Peyton Reed directed the films portions of Ant-Man and The Wasp: Nano Battle!, he had a hand in the creation of another attraction that shrunk guests down—but this time, it wasn’t so we could defeat Hydra! 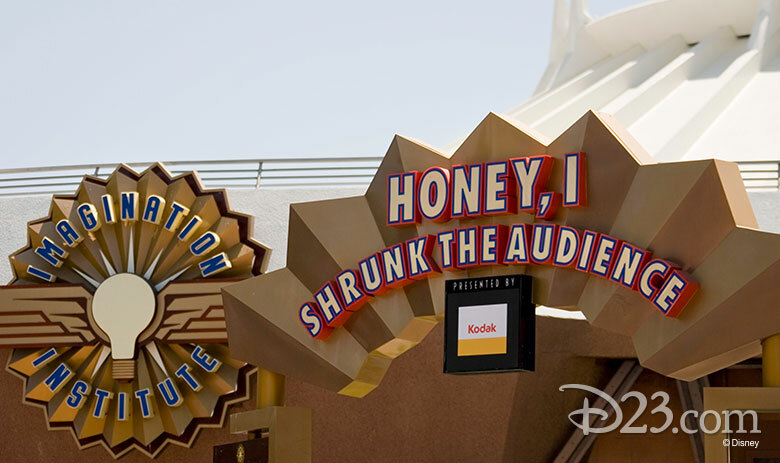 Based on Honey, I Shrunk the Kids and its accompanying sequels (which you should definitely rewatch right now if you need an idea for a movie night), this 3D film, which ran at Epcot, Tokyo Disneyland (as MicroAdventure! ), Disneyland, and Disneyland Paris (as Chérie, J’ai Rétréci le Public! ), invited us to the Imagination Institute, where Professor Wayne Szalinski’s amazing shrinking machine is demonstrated—on us! The accidental audience-shrinking leads to many wacky incidents (make sure to lift up your feet! ), but everyone ends up back at their correct size in the end… mostly. 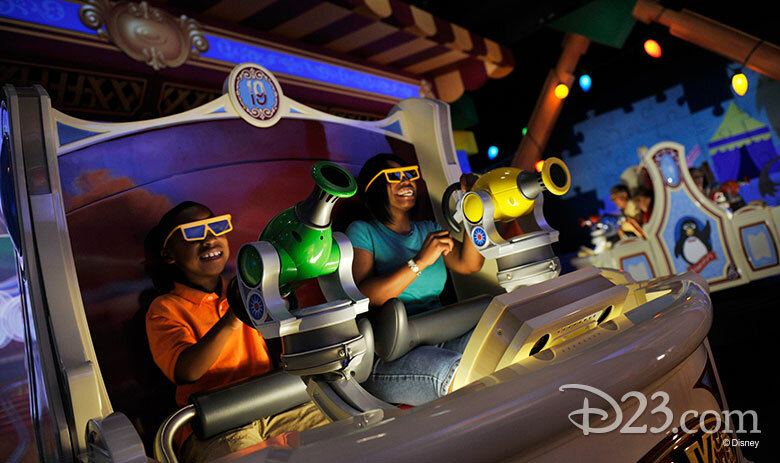 This mighty fine Tomorrowland attraction used the Mighty Microscope to shrink guests down smaller than an atom—you could even watch the shrunken Atomobiles begin their tiny journey right from the queue! Guests passed beyond the limits of normal mag-nif-i-cation to the inside of a snowflake and into a water molecule—and then into an atom! Featuring the classic Sherman Brothers song, “Miracles from Molecules,” this attraction lives on in the hearts of Disney fans today. 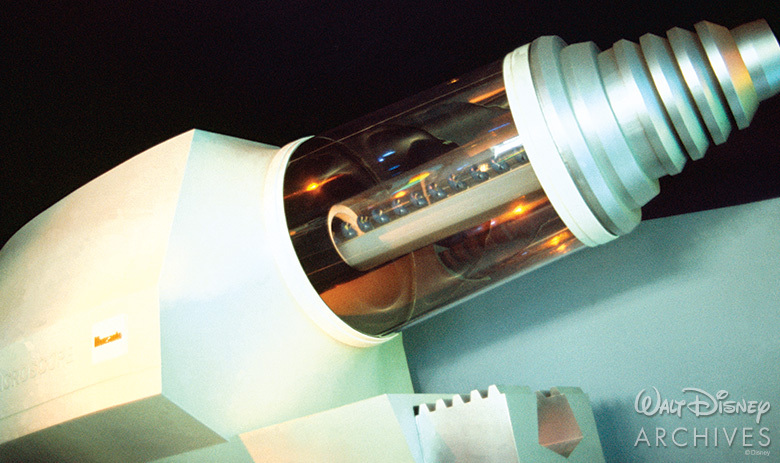 Although it no longer is shrinking guests down at Disneyland Resort, sharp-eyed guests might notice a reference to inner space while exploring outer space—next time you ride Star Tours: The Adventures Continue, you might spot the Mighty Microscope hidden inside the Death Star! 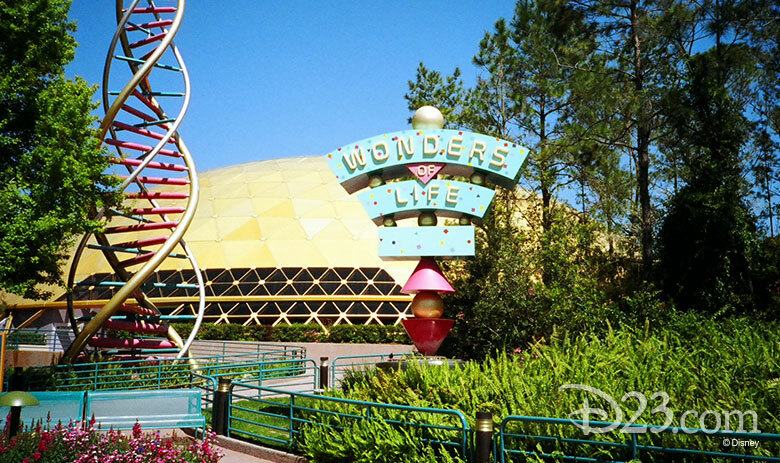 Directed by the legendary Leonard Nimoy, this classic Epcot attraction explored the Wonders of Life first hand—by exploring the inside of the human body! Our miniaturized mission was to meet up with Dr. Cynthia Lair, who was observing a splinter from inside the body. 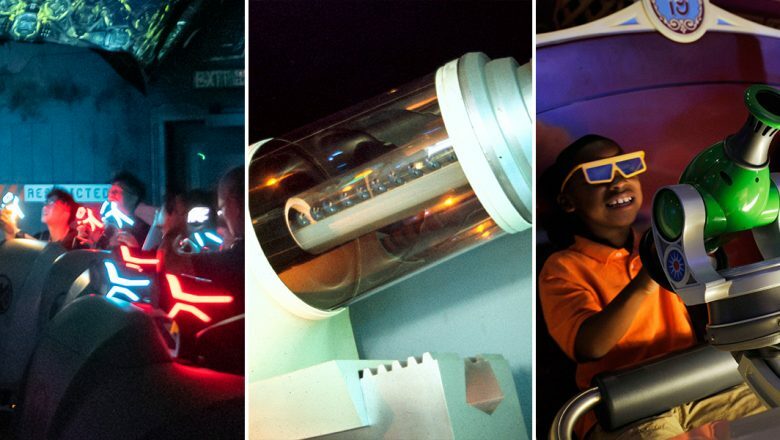 Of course, the mission goes awry, and we were able to explore the heart, lungs, and more before our safe return to the Wonders of Life Pavilion (and our normal sizes). Over at Disney’s Hollywood Studios, Disney California Adventure, and Tokyo DisneySea, we can join in the fun and games of life as a toy! Shrink down to the size of a toy and explore Andy’s new Midway Games set—will you get the high score? 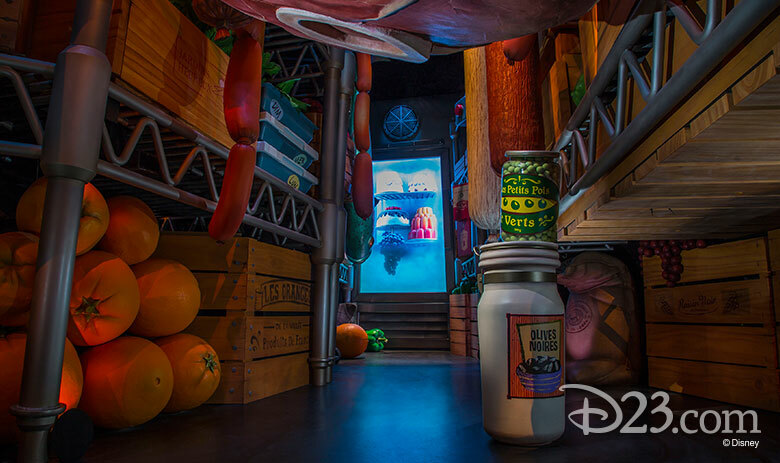 We’ve been shrunk for science and to fight bad guys, but in this attraction at Walt Disney Studios Park at Disneyland Paris, we get shrunk down to the size of a rat in order to explore fine dining in Paris! With Remy as our guide, we race through the kitchen of Gusteau’s and avoid the scheming Chef Skinner. Of course, it all ends happily ever after—with food! 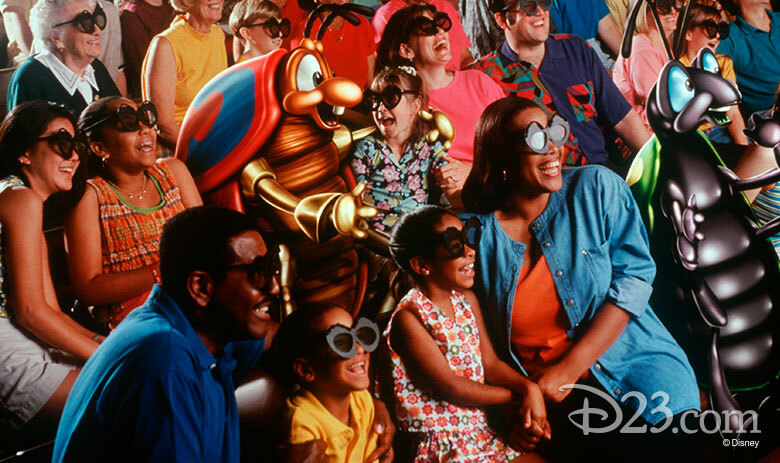 Inside the Tree of Life at Disney’s Animal Kingdom, we’re treated to a bugs-eye view of the world in this special 3-D show hosted by Flik. As honorary insects, we experience what it’s like to be small and learn about the different bugs that help keep nature balanced. Of course, bug-sized people have bug-sized problems, like a certain unfriendly grasshopper crashing our fun! While we may shrink small for this show, the thrills we experience will leave us buzzing about it for a long time.